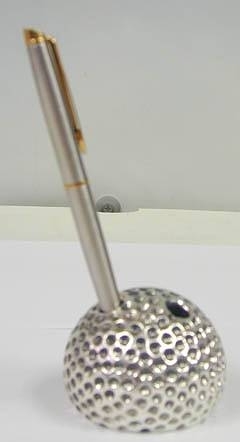 Artisan Sterling Silver Golf Ball Pen Holder An unusual artisan 925 sterling silver (NOT silver plated) golf ball pen holder. 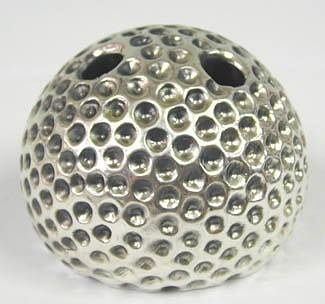 This exquisite pen holder is wonderfully designed as a half golf ball. It has 3 holes in it for placing the pens. This item was made in the electroforming method. Measurements: Diameter: 63mm. / 2.48in. Height: 45mm. / 1.772in. Weight: 120gr. / 3.858oz. Marks: 925 for sterling silver.